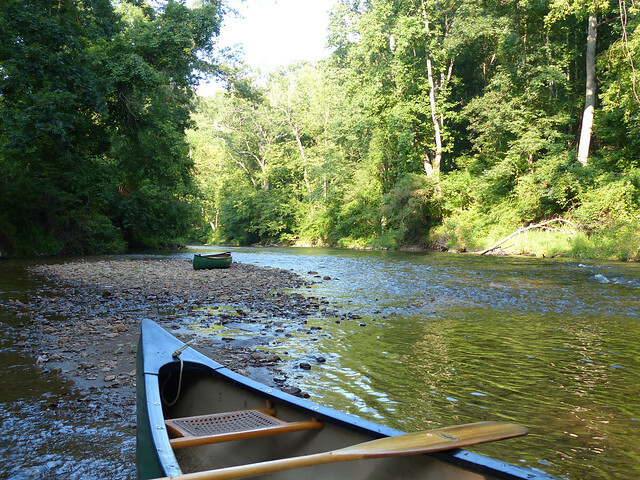 Thank you for supporting our efforts to protect the Gunpowder River! This year we championed enforcement and compliance of environmental laws within the watershed to protect and conserve the River for all users. We could not have been successful without your generous support. 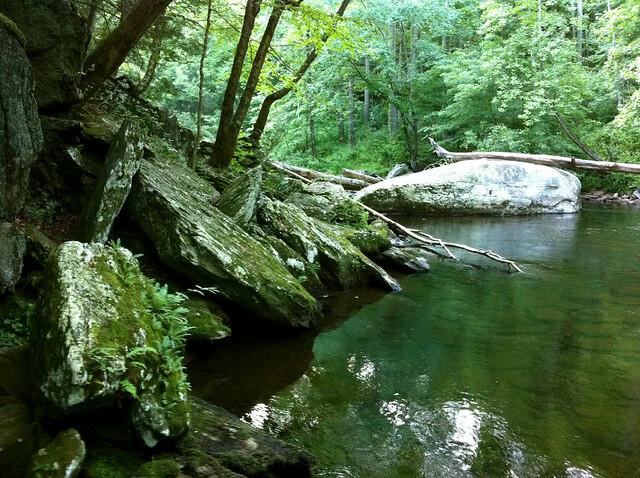 The Gunpowder River watershed faces environmental threats that must be argued in a legal context. Our organization works collaboratively and proactively to find solutions to pollution problems. We are effectively using legal action but only after exhausting all other methods to represent member’s interests in protecting the Gunpowder River and its watershed from sources of pollution. PCBs in the Gunpowder River: Polychlorinated Biphenyls (PCB’s) pose a serious risk of causing significant adverse impacts on the health and quality of the Gunpowder River and its fish and crabs. 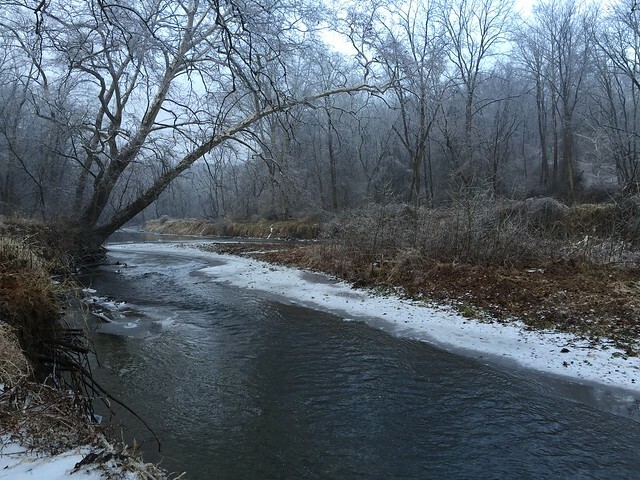 The Environmental Protection Agency (EPA) approved a Maryland Department of the Environment (MDE) plan that will not meet water quality standards for 49 years in the Gunpowder River and 93 years in the Bird River. We are now researching legal solutions to this administrative delay. 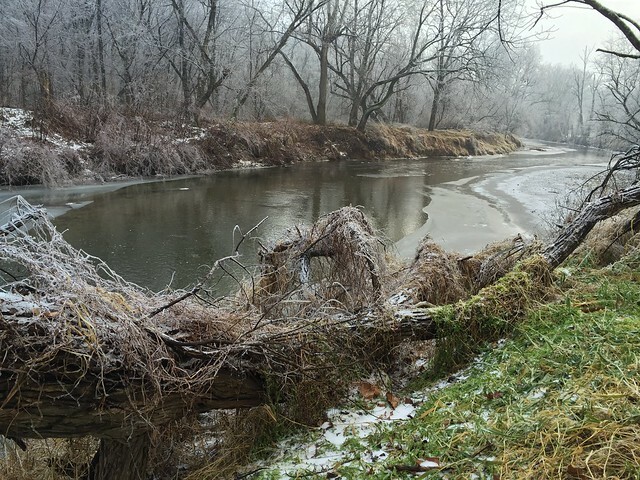 Foster Branch Pollution: Riverkeeper is currently investigating several potential improperly regulated upstream point and non-point sources of sediment, nitrogen and bacteria pollution that impacts the Foster Branch section of the Gunpowder River. C.P. Crane Power Plant Discharge: Riverkeeper has requested a stronger permit for the 53 year old coal-fired powerplant that would provide more monitoring of various potential pollutants ensure pollution levels are properly reported and mitigated. Riverkeeper’s goal is make sure that discharges are protective of the waters of state and of public health. 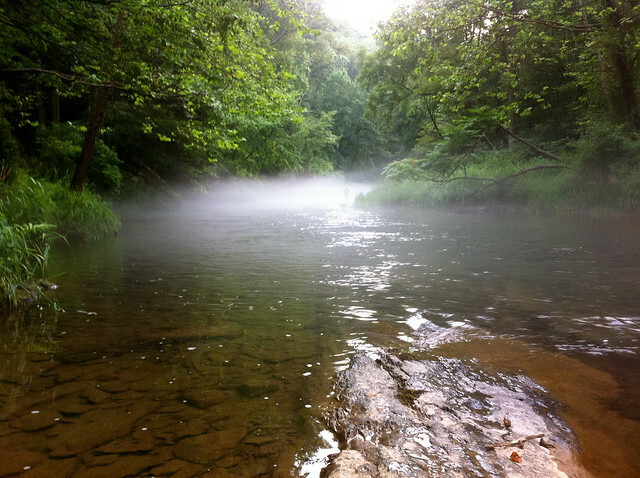 Gunpowder Riverkeeper links and protects the forests, the fish and the faucet. Our work is a shared waters perspective that is pro-active and respective of the varied economic, recreational and biological aspects of the River. The Gunpowder supports varied recreational interests, habitat for native and wild trout, drinking water for 1.5 million Baltimore-Metro Area residents and important tidal habitat for Rockfish, Perch and crabs. Riverkeeper filed an emergency motion in Circuit Court that held Columbia Gas accountable for following the court ordered settlement agreement between Riverkeeper, Columbia Gas Transmission and MDE to provide baseline fish sampling at five sensitive streams crossed by the 21.1 mile interstate Gas pipeline project. The result was that Columbia agreed to alter its construction schedule on the 190 million dollar project in order to perform the required sampling. As a result, Riverkeeper and the public will get information about water quality impacts from the pipeline project. 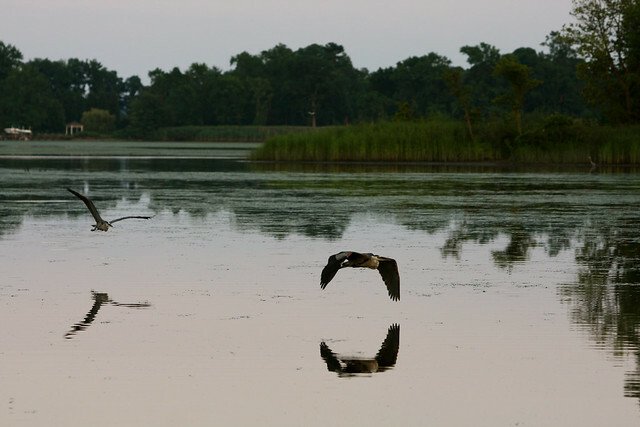 Riverkeeper garnered significant public opposition to a proposed amendment of the Natural Resource District (NRD) zoning code that would have stripped protection of approximately 1,100 acres of non-tidal wetlands in Harford County. 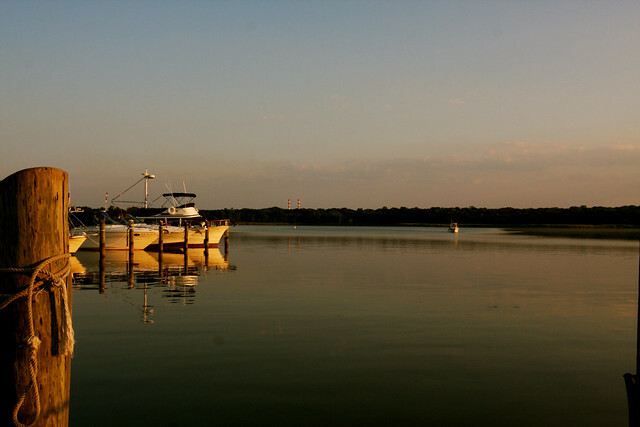 The result of Riverkeeper’s efforts was that the council crafted a more protective amendment that was voted into law. Clean Water in the Gunpowder watershed is everyone’s right and as a shared resource must be protected for all! Everyone that recreates within the Gunpowder deserves an opportunity to be engaged in the regulatory process. Meaningful public participation results in better projects-those that are protective of drinking water, property interests, sensitive species, recreational and aesthetic values. We need your financial support to keep the River protected now and in the future. Please consider an annual donation of support or a year–end donation to amplify our outreach, advocacy and legal action. A few words from Jackie Guild, Executive Director of the Chesapeake Legal Alliance. This entry was posted in news on December 27, 2016 by Theaux Le Gardeur. First of all, happy holidays! I hope you all find a plethora of fly fishing gadgets beneath your Christmas trees this year! I’d also like to thank you; 2016 has been a monumental year for me in terms of fly fishing. I’m endlessly appreciative for the help you’ve provided me in the past year. 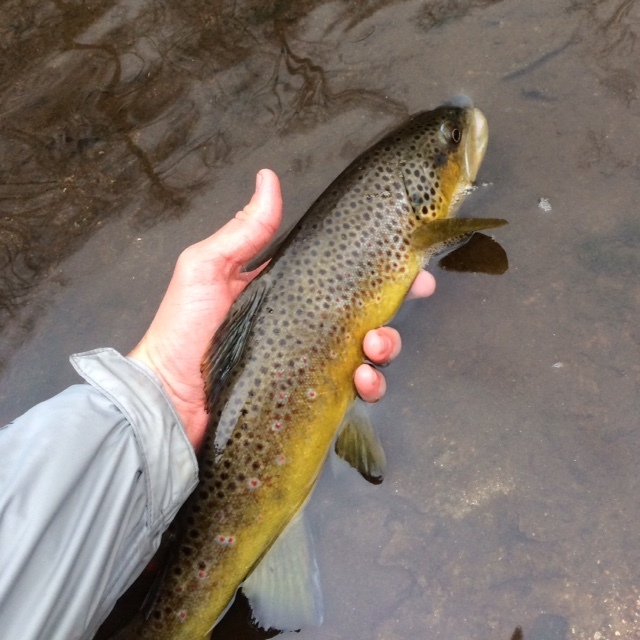 I would never have thought I’d have such success when I began fly fishing in 2015. Secondly, Gene mentioned last week that I could send in a picture of the fish I caught last weekend to be featured on your blog. I actually caught another fish of the same size yesterday (Thursday), as well as saw a huge fish (20+ inches) tucked beneath a log jam!! It seems that by now the Gunpowder browns have completed their annual spawn and are quickly transitioning into winter mode. After fishing streamers almost exclusively for the past few weeks, it has become apparent that the fish are in a sort of post-spawn, pre-winter feeding mindset. I found that very few fish bumped, chased, or slashed at my fly. 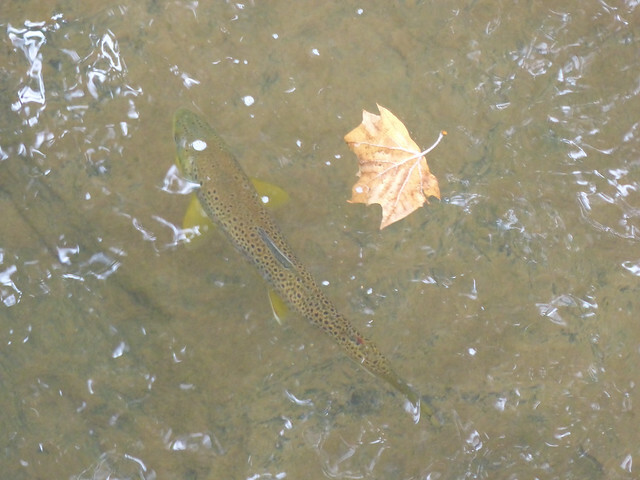 Rather, almost every trout that showed interest took the fly in its mouth with confidence. This has led me to believe that the fish are no longer feeling territorial and aggressive, but instead are hungry and therefore happy to eat whatever tasty morsel passes by. In my opinion, this scenario is preferable to the pre-spawn aggression phase since the fish are more intent on eating the fly as opposed to chasing it away or giving it an angry bump. Furthermore, the fishing pressure is slowly declining on the river, especially in some of the lesser fished spots. It’s amazing how receptive the fish are of your fly when they haven’t been bombarded with artificial food for a few days! In terms of fly choice, I think picking the right sized streamer is more important than any other factor. The fly should be large enough to make it worth the trouts effort, but not so big that it’s downright obnoxious. Adding weight to a streamer and getting it down to the fishes level can never hurt this time of year, but I’ve had no problem getting fish to move a good distance for the fly. In fact, I’ve seen a number of trout break the waters surface in an effort to grab my fly as I lift it from the water into my back cast. I think that anyone who ties on a good streamer and really puts it to use will have some success on the Gunpowder this time of year. I’m certain that any medium sized streamer in a dark color will be productive! Once again, thanks and happy holidays!! Please Note: The shop will open Thursday and Friday from 10 till 5, New Year’s eve from 10 till 4 and will be closed on New Year’s Day. This entry was posted in fishing report on December 26, 2016 by Theaux Le Gardeur. Please note: The shop will be open December 19th through the 23rd from 10AM till 5PM and will be closed on the 24th and 25th. We’re happy to email gift certificates for gear, guide trips and/or instruction up until 4 PM on the 23rd. 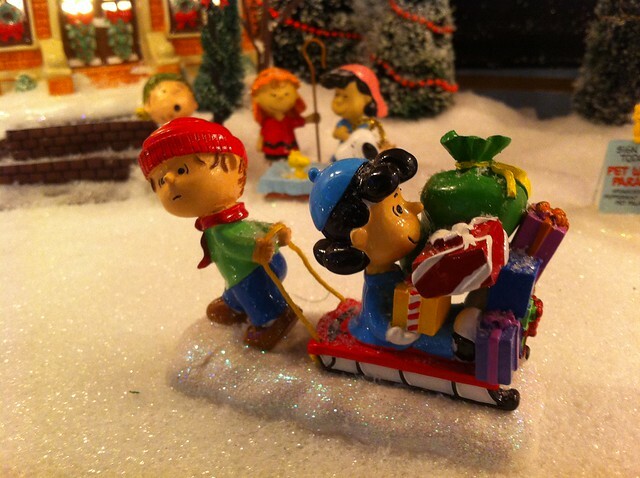 Please call us at 410-357-9557 if we can help bring cheer to your holiday! This entry was posted in news on December 18, 2016 by Theaux Le Gardeur. The River is flowing at 37 CFS, is 42 degrees F and clear. Lots of edge ice and areas of the River were slicked over downstream of Monkton through Friday. With the rain and sleet this morning those areas are opening up. Chest waders, studded boots and a wading staff are must have items to fish safely through the “just now” seasonal weather. Stoneflies with zebra midges droppers are best fished in the fastest shallow riffles one can find. Streamer fishing is a great way to stay warm and cover a lot of water. Be sure to use the trails avoid wading through the redds and make sure you slide rather than step into the river. BWO’s and small midges are worth a shot if you’re dead set on fishing dries above Masemore. This entry was posted in fishing report on December 17, 2016 by Theaux Le Gardeur. We just received a Winston Air 9ft 5 weight 4pc fly rod at Backwater Angler, which begs the question; Why does one need another five weight? Enjoy the answer from our friend Annette McClean and stop up and cast it before it is gone! This entry was posted in gear, news, video on December 17, 2016 by Theaux Le Gardeur. 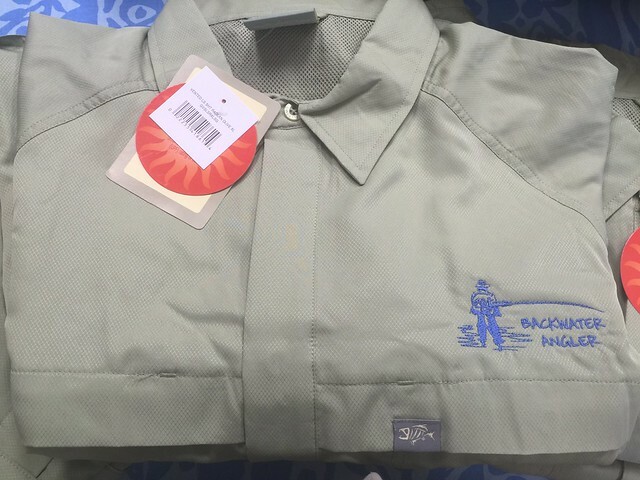 Have enough fly fishing gear or would rather pick out the techie gear yourself. 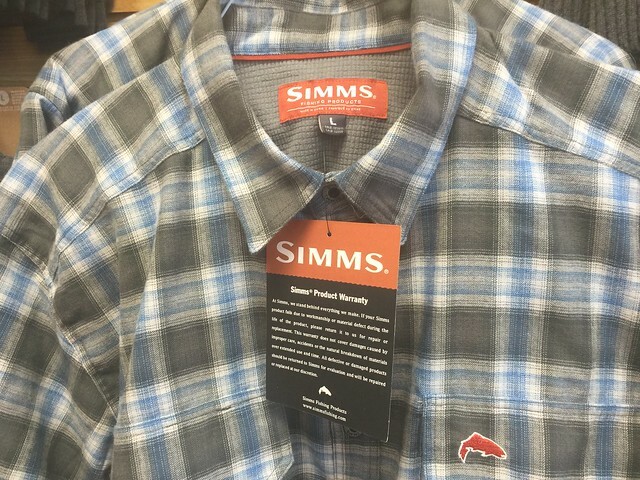 Here are a few sure bets for other family members to “surprise” you with over the Holidays we’ve just received some very popular Simms Coldweather shirts and a shipment G.Loomis vented fly fishing shirts with the Backwater Angler logo embroidered on the right front chest pocket. This entry was posted in gear, news on December 3, 2016 by Theaux Le Gardeur.